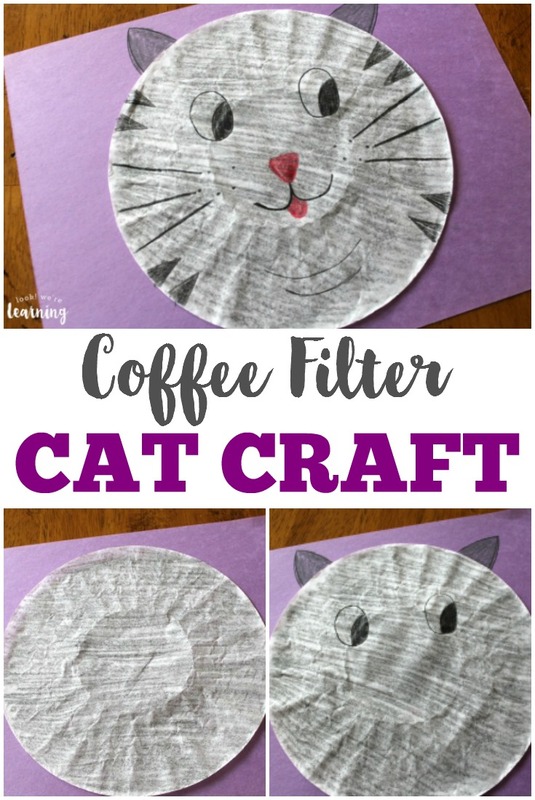 Coffee Filter Crafts for Kids: Coffee Filter Cat Craft - Look! We're Learning! When I was about 20, I found a stray tabby kitten outside my job. She was so tiny and she just kept mewling and mewling. Of course, I caved and took her home. That was years ago (I’m not going to say how many! ), but I still remember her grey striped coat and her giant eyes. She was adorable. 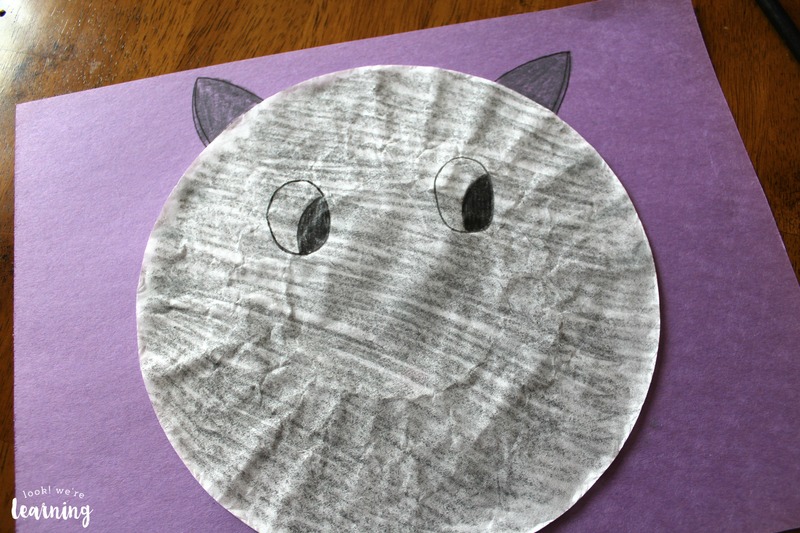 So, for our newest coffee filter crafts for kids idea, I thought I’d make a coffee filter cat craft that looked like her. 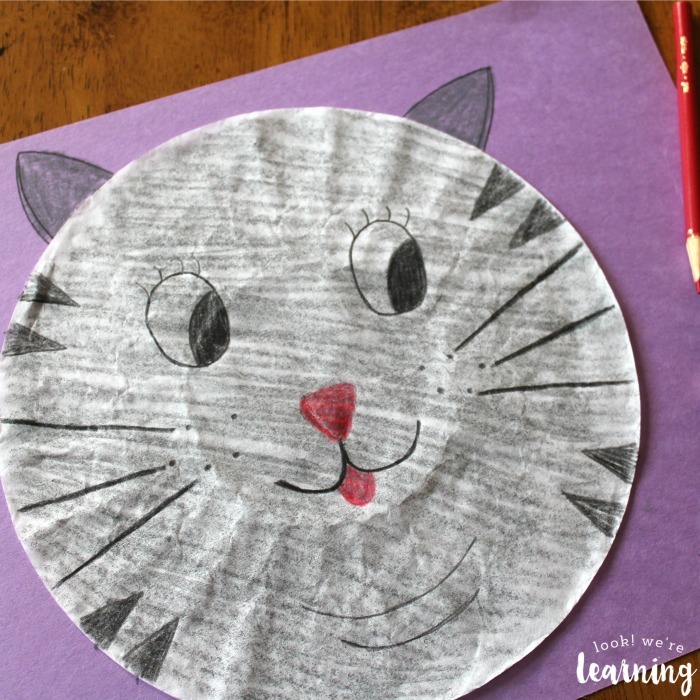 This is really simple and cute for kids! And, while I made mine grey, you can make it in any color you like! 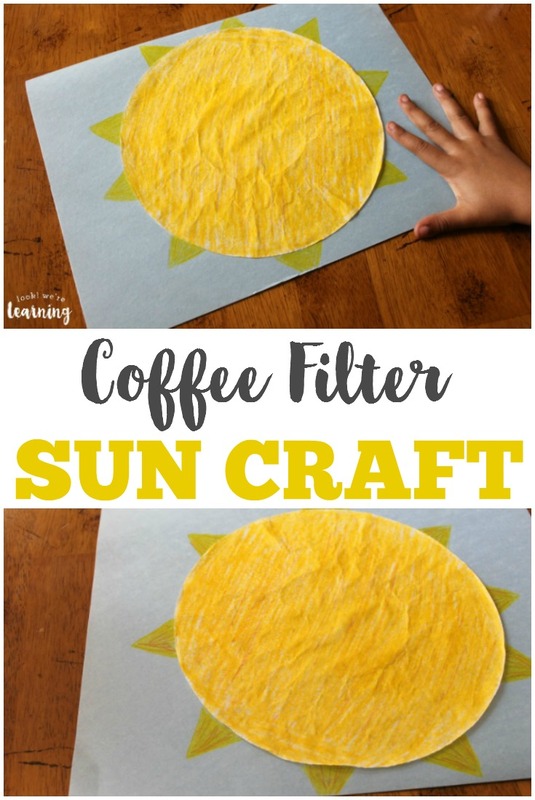 This fun craft isn’t the only one you can make with a simple coffee filter! 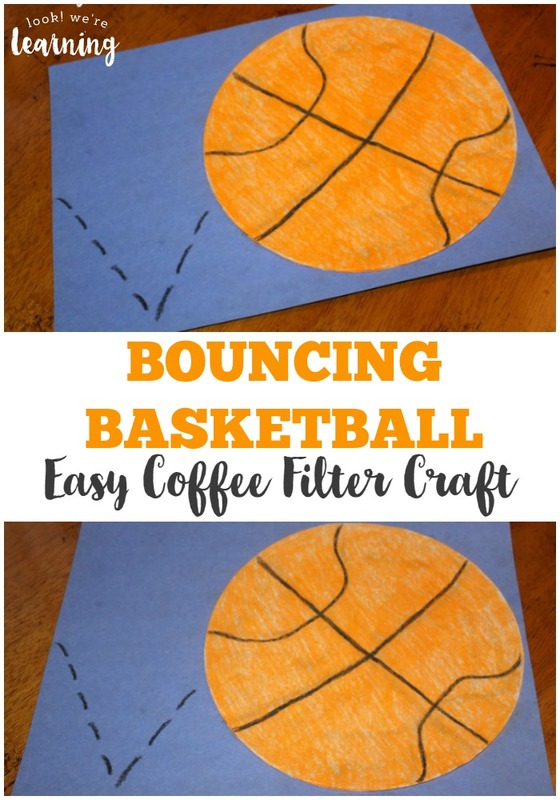 Try our easy Coffee Filter Bouncing Basketball Craft or our Coffee Filter Sun Craft for more crafting fun! 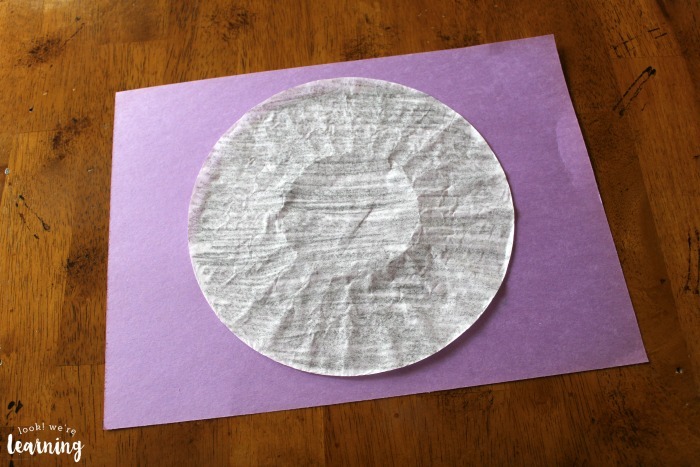 Star by coloring the coffee filter grey. I used a crayon, because I didn’t want the color to be so heavy that the details wouldn’t show. 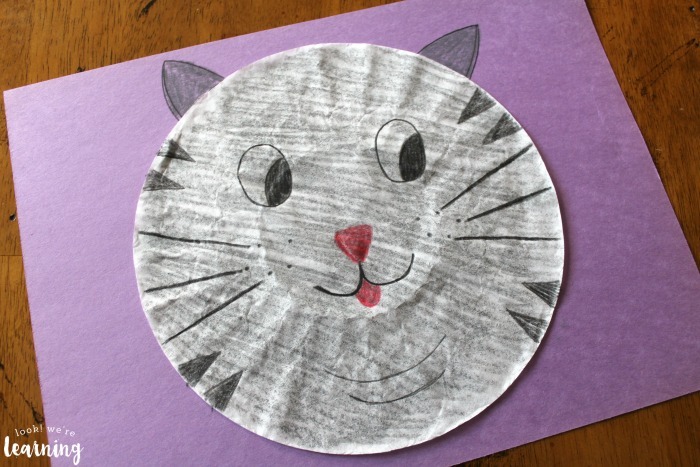 Then glue the filter onto the center of a piece of construction paper. Basically, all that’s left to do is build the cat’s face. 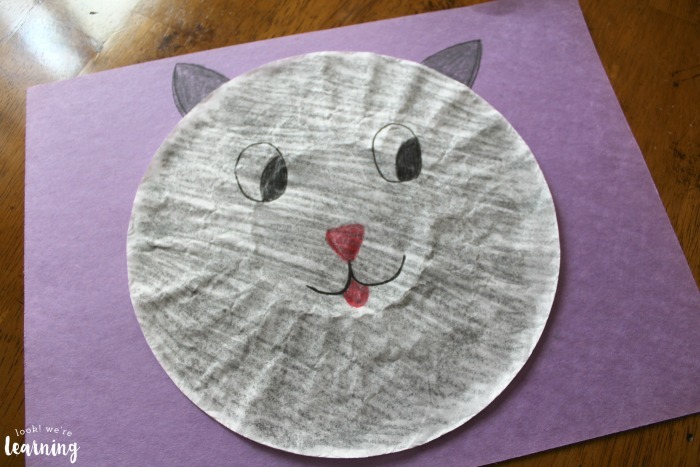 Start with a pair of ears above the filter and then add some eyes with a black colored pencil. Be sure to make the eyes rather large so that the face fills the filter. 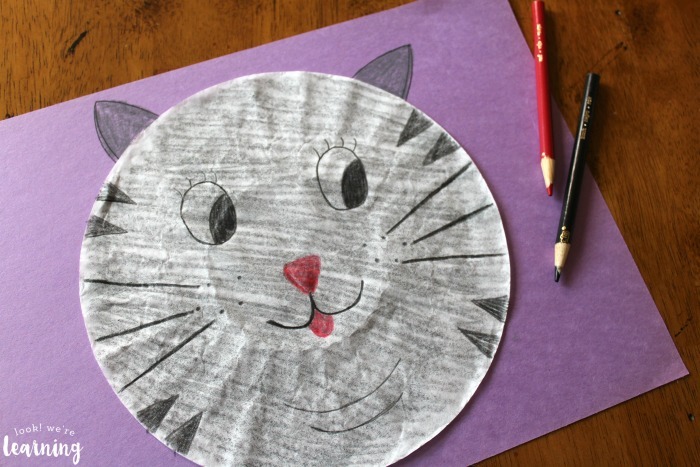 Use a red colored pencil to draw a nose. (An upside-down triangle works fine.) 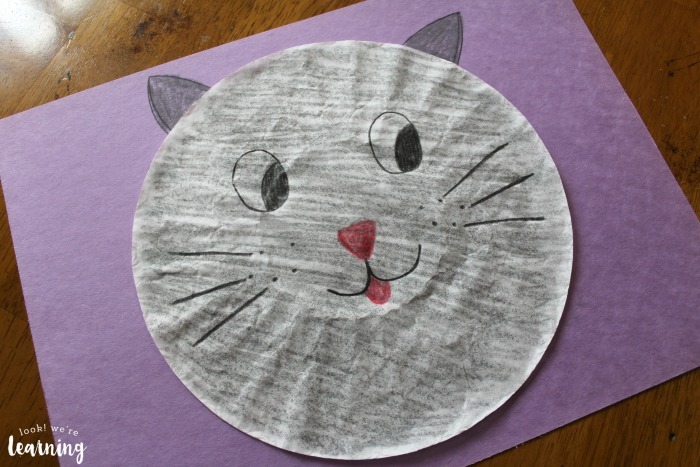 Then use the black colored pencil to draw a mouth. Add a red tongue if you like. You know how cats have those little freckles that their whiskers grow out of? Add a few of those, with some whiskers. Again, I just used the black colored pencil for this. Okay, let’s add some long eyelashes. Then, we’ll be done. 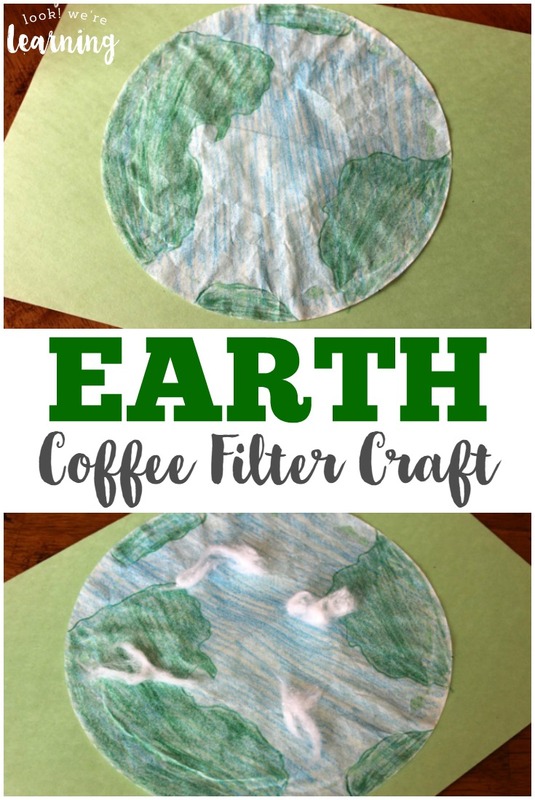 Check out these other simple coffee filter crafts for kids to make at home! 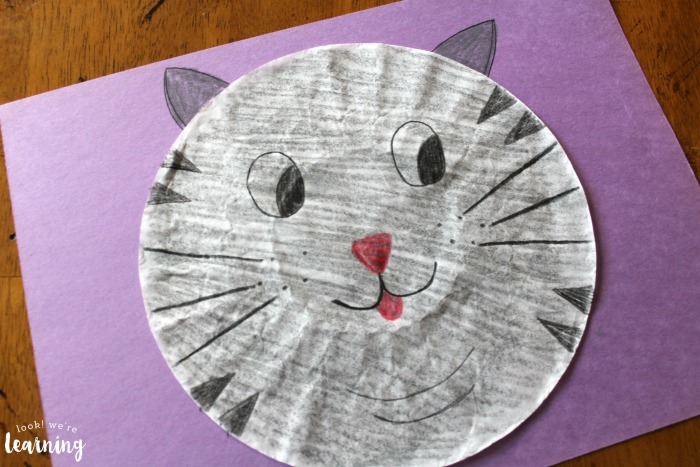 See more easy craft projects on my Simple Crafts for Kids Pinterest board!